The PSA finally appointed a new Chief Executive yesterday. The new man is Richard Graham, former Chief Operating Officer of the Parallel Media Group plc, who has worked with a number of sports federations, including the Lawn Tennis Association, the Lipton International Players Championships in Miami and British Equestrian Promotions. Since leaving PMG earlier this year, Graham has worked as an independent sponsorship agent to a variety of rights holders, including Birmingham City FC, Honda F1 Racing, SnowsportGB and the English Open Golf Championship. It was good to see that the interview panel included people involved in the game but able to give an objective voice, such as Ziad Al-Turki, Vice Chairman of the ATCO Group and former World Champion and promoter Peter Nicol. 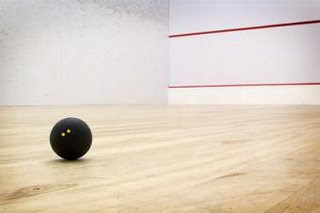 "I believe that squash has a strong base from which the Tour, the PSA's commercial partnerships and the sport's media coverage can each be developed. It is in these three areas that I hope to focus my energy from the outset." We wish Mr Graham every success in his new role. Read the full press release about the appointment.